In cooperation with local citizens, Hvidovre Municipality is future-proofing the area of Strandøre against flooding and water damages. Homes in Strandøre, an area situated next to the coastal meadow in Hvidovre Municipality, are at risk of flooding during cloudburst events and sustained periods of rain. To solve this challenge, the municipality has engaged citizens and other relevant stakeholders to identify a number of solutions. Through a collaborative process of citizen engagement, the area’s interested residents have had the opportunity to contribute their ideas to the project. This process not only positively contributed to flood protection, but also helped transform local voices into local solutions. 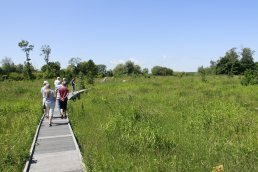 While one group conducted a tour to examine the areas at risk and understand the challenge in greater depth, a working group went further afield to take inspiration from similar projects in other municipalities. These activities generated a number of suggestions which were compiled into an ideas catalog and presented to local politicians and citizens of Strandøre. In Hvidovre Municipality, citizens have been exploring areas at risk of flooding as well as taking inspiration from other areas on field trips. Not only did the ideas catalog garner acceptance politically, but the process also resulted in a high level of citizen engagement and co-ownership, which has increased the well-being of residents and strengthened local communities throughout the area. This community spirit has been amplified online, with citizens able to follow the entire process through for example social media. Additionally, the process has been documented along the way, making it easier for other municipalities to follow suit. The project and its results have given citizens more opportunities to be outside, with more green spaces, water playgrounds, and more diversity in the areas surrounding bike paths. Through the project, collaborations between both civil society and the private sector have transformed local values into green solutions and strengthened local communities. The project demonstrates how innovative citizen engagement can increase awareness of climate-related challenges and spur action to reduce the effects of climate change. 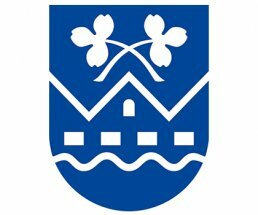 Hvidovre Municipality is a green, suburban municipality in the capital region.